Military training and experience serves as an excellent source of non-traditional learning for prospective students. Touro University Worldwide will help you maximize transfer credit from military training and/or experience, challenge examinations and standardized tests as well as foreign-earned academic credits and previous course work from other accredited institutions. The links below will provide more information on TUW’s credit transfer policies. Please find information below on ordering your official transcripts. The Army American Council on Education Registry Transcript System (AARTS), the Sailor Marine Corps American Council on Education Registry Transcript (SMART) and the Coast Guard Institute (CGI) are now using the joint services transcript (JST) program, which is now the official transcript instrument for Army, Marine Corps, Navy and Coast Guard personnel. 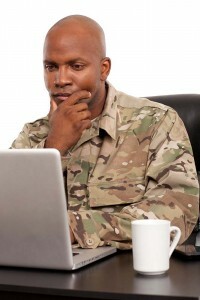 The Army uses the Army/American Council on Education Registry Transcript Service (AARTS) for documenting military training. If you are interested in obtaining a personal copy for a pre-evaluation, you can print one from the following website: https://jst.doded.mil/smart/dodMandatoryBannerForm/submit.do. The Marines use the Sailor/Marine American Council on Education Registry Transcript (SMART) for documenting military training for all active-duty sailors and marines and for those who have separated or retired after Oct. 1, 1999. The Joint Services Transcript (JST) website is a computerized transcript system that produces official transcripts for eligible marines upon request by combining a marine’s military education, training and experience with descriptions and credit recommendations developed by ACE. Connect JST transcript delivery website. The Navy uses the Sailor/Marine American Council on Education Registry Transcript (SMART) for documenting military training for all active-duty sailors and marines and for those who have separated or retired after Oct. 1, 1999. The Joint Services Transcript (JST) website is a computerized transcript system that produces official transcripts for eligible marines upon request by combining a sailor’s military education, training and experience with descriptions and credit recommendations developed by ACE. Connect to the JST transcript delivery website. The Air Force uses the Community College of the Air Force (CCAF) transcript for documenting all college credit-worthy training received. Air Force personnel should complete AF Form 2099, which is a request for a Community College of the Air Force transcript, at the base education office. The Coast Guard uses the Coast Guard Transcript for documenting all college-credit worthy training received. Before you may request a Coast Guard Transcript, you must first complete an Application for Voluntary Education Services (CGI 1561). A copy of this form is available from the following website: https://www.uscg.mil/hq/cgi/.